You need a great vehicle to get around Saint George whether you're traveling for a business trip or a vacation. Check out the top sites around town and park in front of the best restaurants in Saint George. 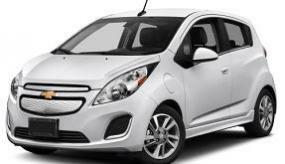 CarRentals.com has answered the most popular questions about car rentals in Saint George. Find out how to get the best rates on your ideal vehicle. How can I find a great deal on a car rental in Saint George? Just following even a few of these tips can help you save big on your Saint George rental car. What rental suppliers have retailers in Saint George? From global names like Enterprise and Hertz to budget-friendly brands like Dollar and Thrifty, CarRentals.com has some of the best brands in the business. Scan through the online reviews to get an idea of which one is best for your next trip. What types and makes of rental cars are on offer in Saint George? What's the age requirement to rent a car in Saint George? Normally, the age limit for renting a car in Saint George is 21. Please note, there might be an added charge if you are under 25 or for higher category cars in particular. Read through the terms to figure out what any additional charges is before you reserve your rental. Do I need insurance to rent a car in Saint George? Insurance is mandatory, wherever you're renting a car. That said, you might already be covered by your credit card or car policies. Keep in mind, these policies may not provide total coverage, and you'll have to add it on to your booking. Check in advance and, if it is needed, you can conveniently add it at checkout. We encourage a full tank policy. You pick up your rental topped off. But, if you return the rental with less than the amount you received it with, most companies will charge a premium to top it back off. If you want to save some money, it is best to fill up your tank before you bring it back. Stations close to airports or car rental places tend to have higher prices. If you want to explore all that Saint George and maybe even the rest of Utah offers, you are going to need unlimited miles. You won't have to worry about extra charges if you decide to drive all over Saint George. Read the fine print to be certain your mileage is truly "unlimited." Know that you can depend on a grand set of wheels that will leave you with cash to spare when you reserve your Saint George rental car with CarRentals.com. Cash in on cheap deals on your impeccable Saint George car rental when you book with us. We'll see you out here.